The prostitution-related charges against Greg Raymer in the state of North Carolina have been dropped, according to media reports over the weekend. The poker pro was arrested back in March. Raymer reportedly completed 75 hours of community service. Police said that Raymer responded to an online advertisement posted by undercover police. He was arrested at a Wake Forest hotel along with five other men. Raymer won the 2004 World Series of Poker main event for $5 million. Over his lengthy poker career he has cashed for around $7.5 million in tournaments. Raymer was allegedly soliciting a female prostitute, information which came after a local news outlet originally reported that it had been a “male prostitution sting.” It later corrected the story. 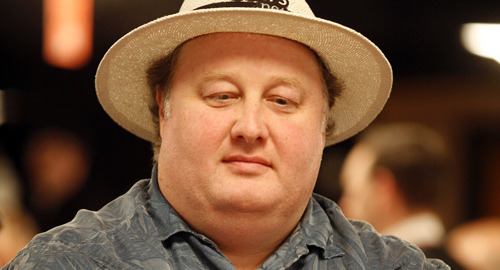 Since the scandal, Raymer has still been one of the most prominent faces at poker tour stops in the U.S. He appears to still be one of the game’s most well-liked pros. He was lured by a set up, how is that legal by the police??? ,,,,,,,,,,,,,,,,,,,,,,,,,,,,,,,, why are no one updating their blogs?, you're doing them a favor by allowing their blog on your site to start with, the ones that dont like to blog on a regular basis should be removed from the blog page!!! That's not accurate either. Police routinely send confidential informants to the houses of people to solicit crimes. See: Half the illegal gun sale cases made by the BATF tat often times involve people with no prior criminal record. Entrapment law in the US is very, very biased towards the police. They get away with deeply appalling stuff that's illegal in places like Russia and China. Glad Greg got that cleared up BUT I have a REAL problem with someone having to do community service for charges that were "dropped" ... WTF ... they charge you and don't have the evidence to convict but you do community service(are punished) just because you were charged ? HMMMM.... No charges but forced into labor for community ... what the hell America? IN NEW JERSEY IT IS CALLED CONDITIONAL DISCHARGE IN MUNICIPAL COURT OR PRE-TRIAL INTERVENTION IN COUNTY SUPERIOR COURT. THE DEFENDANT DOES NOT HAVE TO ENTER A PLEA OF GUILTY IN EITHER CASE. ONCE THE DEFENDANT COMPLIES WITH THE COURT CONDITIONS OVER A PERIOD OF ONE YEAR THEN THE CHARGES ARE DISMISSED BY THE COURT. THE REAL PUNISHMENT IS HANDED OUT BY THE WIFE AT HOME FOR WELL OVER ONE YEAR. There are some real dumb people responding. He got caught and for some free labor, he got it off his record. Of course being famous (and also married), it will be always known to the poker world. I wonder if he travels the poker circuit or the HO circuit?